GL2 William 'Jeremiah' O'Leary was possibly the first GL2 Sibling O'Leary to make his way down Mount Road or 'cut across the fields' at Scartaglin, starting his journey possibly for Queenstown (Cobh at Cork, known from 1850 until the late 1920s as Queenstown) and from there by Ship on to New York, America. William's immigration year to the USA is recorded in the New York Census 1910, 1920 and 1930 as 1885, 1890 and 1890 respectively. 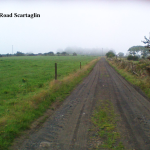 He had been an assistant to the local Taylor Brosnan at Scartaglin. William was born in 1869 so he was still in his teens when he started his journey to cross the Atlantic to America in search of a better way of life. His brothers Michael, Humphrey, James and Patrick were older than him. Cornelius was younger. 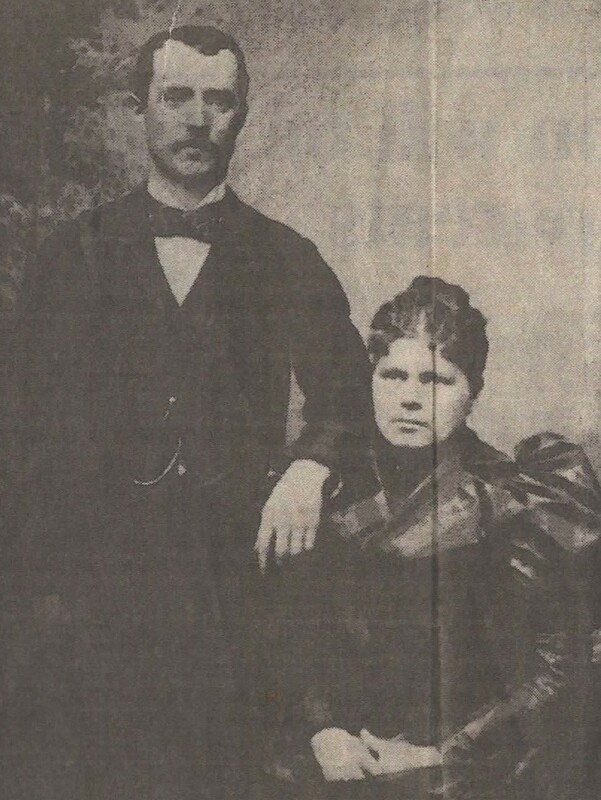 In the USA, circa 1895/6 William married the Widow Margaret Sullivan Flynn who had two children (Michael and Catherine) in her first marriage to John Flynn. GL3 Jeremiah 'William' O'Leary was born in 1897. 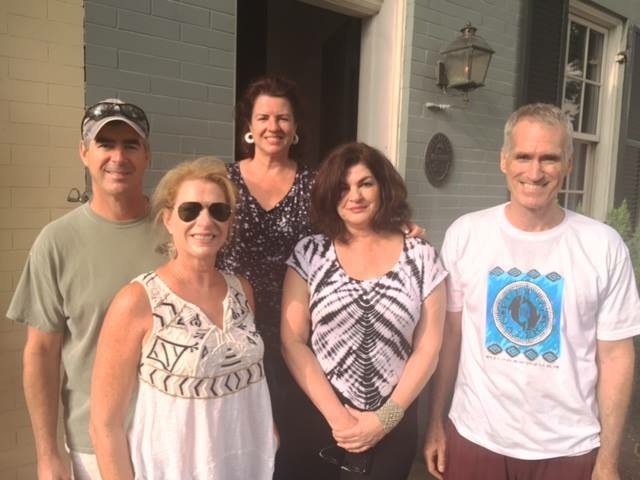 The 1910 US Census (See below) gives us a picture at a point in time in history, of a united, extended Family at the home of William (Head) and Margaret O’Leary in the District of Columbia in Washington. William J O Leary, "United States Census, 1910"
It is not certain as yet where the relation Julia McCarthy fits. William’s sister Margaret ‘Mai’ did marry Florence McCarthy at Gortloss in 1879. 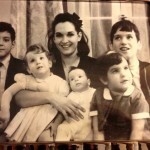 Flor and Mai had a large family of 10 children. 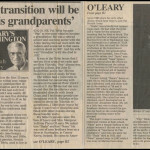 In his Column ‘O’Leary’s Washington’ for The Washington Times GL4 Jeremiah ‘Jerry’ O’Leary wrote affectionately about his grandparents. 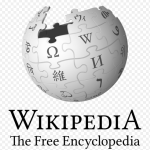 (Click on the image above to read the article). 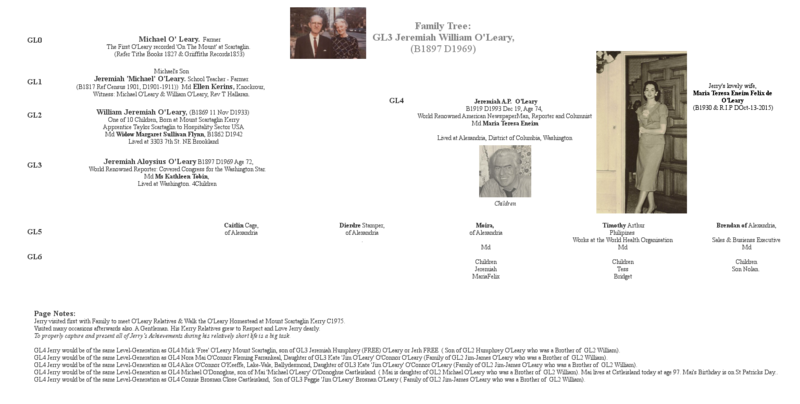 Family Tree: GL4 Jeremiah A.P O'Leary or Jerry. 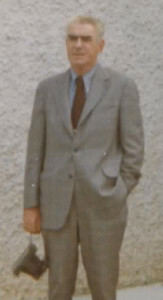 Jeremiah A O'Leary B1897 D1969 Age 72 was the son of William Jeremiah O'Leary and Margaret Sullivan Flynn O'Leary. 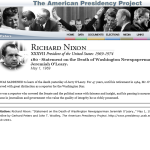 President Nixon Statement on Jeremiah's passing. 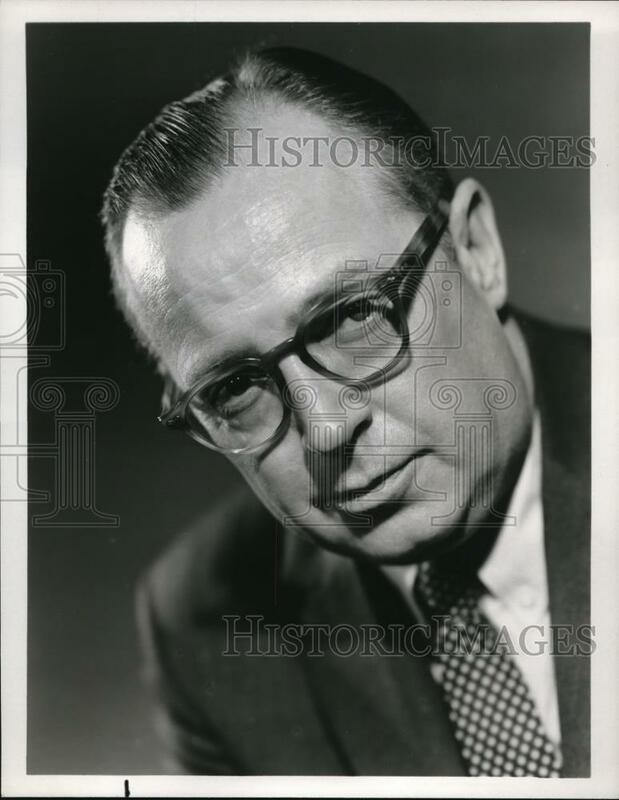 Jeremiah was a World Renowned Reporter and for almost half a century, he covered Congress for the Washington Star. 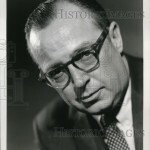 Jeremiah ''was 15 when he began his newspaper career, spending an impressive forty-five years in the House and Senate galleries, gazing down on the likes of great statesmen named Sam Rayburn and Russell B. Long.'' He retired in 1964. 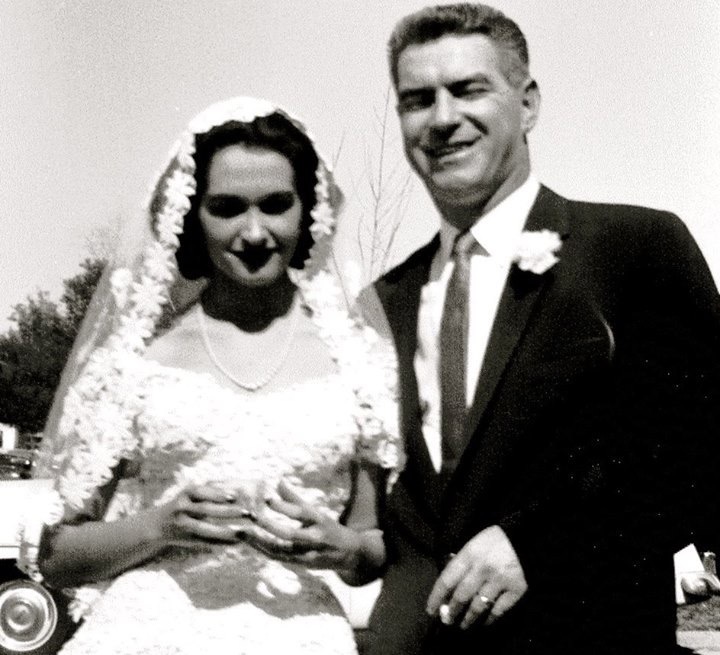 He married Kathleen Tobin. 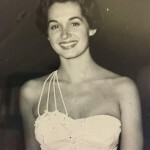 Her Parents were Patrick (Lived into his 90's) & Lily Talty Tobin. They lived at Washington. 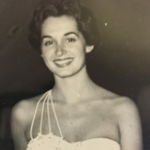 Ms Tobin's Parents were Grocers, Lived at 43 Q St. NE Washington. The name Jeremiah also comes from the Hebrew name Yirmeyah meaning 'appointed by God'. 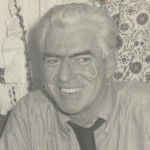 Jeremiah Aloysius Patrick O’Leary or ‘Jerry’, grew up in Washington, DC, He was a graduate of St John’s College High School and attended George Washington University. He served as a U.S. Marine in the Pacific theater during World War II and fought in the invasions of New Britain, Guam and Peleliu. He was a Marine rifleman and battlefield correspondent. During World War II he saw combat in Pacific Amphibious Campaigns with the 1st Marine Division. He also served in Korea during the Korean War. He retired from the reserves as a colonel in 1976. 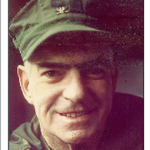 He earned four battle stars, the Bronze Star, Purple Heart and Legion of Merit. Jerry began his career in 1937 with the Washington Star as a copyboy. 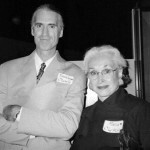 He began with writing obituaries, humorous features and police stories about Washington. Later he went on to covering civil rights marches in the south and he covered the Kennedy Assassination. 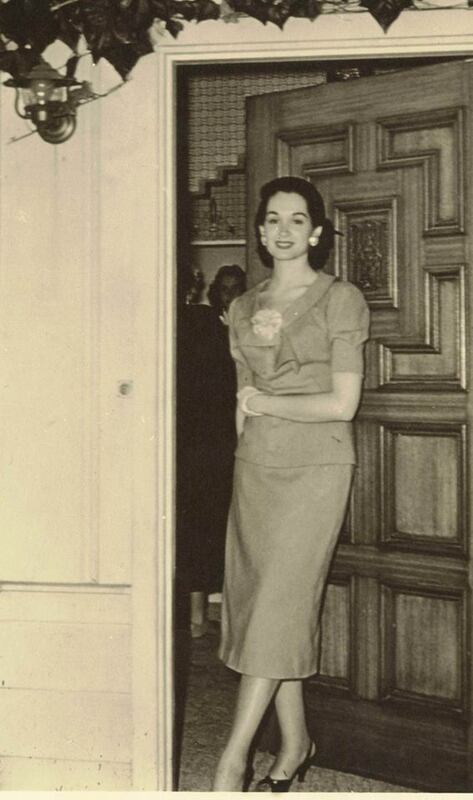 He wrote on Latin America and was the Paper’s State Department and White House correspondent. 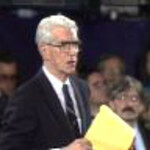 He was appointed the Papers Chief White House Correspondent in 1979. He served an 8 year tour as an associate city editor. 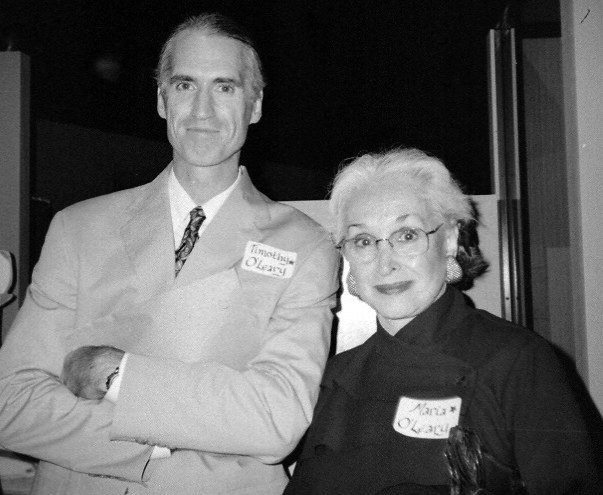 Jerry worked for the star until it folded in 1981 and then joined the Government and spent 8 months as a special assistant to William Clark. Firstly, when William Clark was Deputy Secretary of State and then when he was the President’s National Security Adviser. Then a Washington Times columnist, he joined the Times when it began publication in 1982. 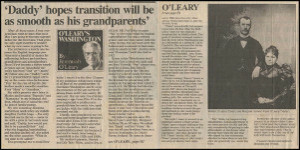 In 1989 he began writing his own Column for the Times ‘O’Leary’s Washington’ in which he shared memories and opinions with his readers. He also contributed articles to the papers Commentary section. 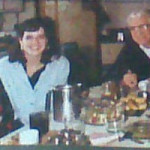 Jerry was President of the White House Correspondents Association in 1988 & 1989. He disliked the term journalist preferring to be called a ‘Newspaperman’. ‘’Few could write a story like Jerry’’ John McCaslin, INSIDE THE BELTWAY , A Great read. 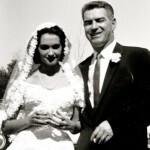 In 1955 Jeremiah Aloysius O'Leary, Jr. married Maria Teresa Eneim O'Leary. 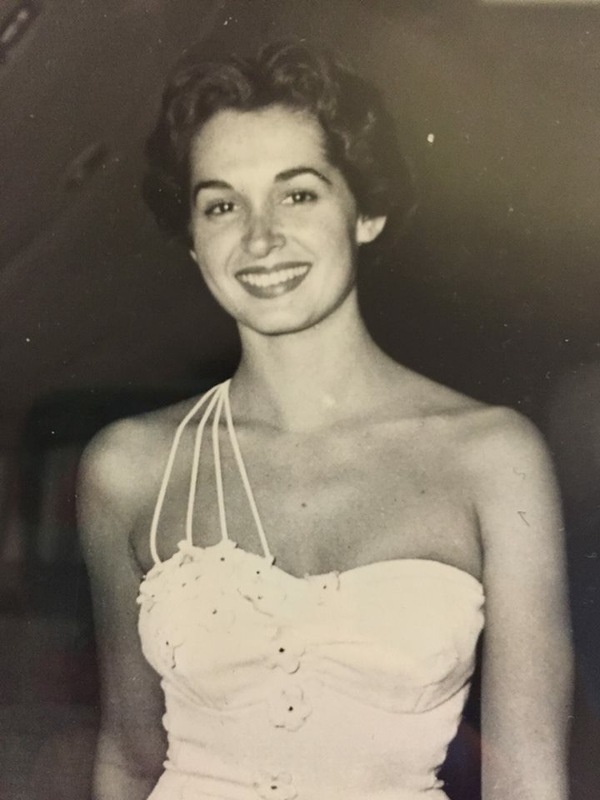 Maria passed away 13/10/2015 at home in Old Town, Alexandria, Virginia. 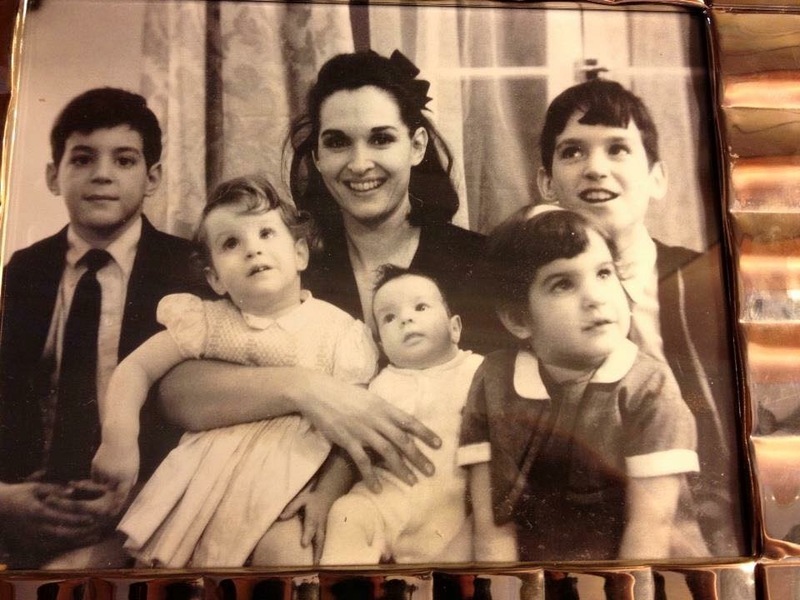 She was born on July 22, 1930 to Adelina Felix Eneim and Arturo Guadalupe Eneim in Los Angeles. 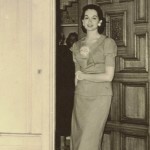 Jerry preceded her in death in 1993. 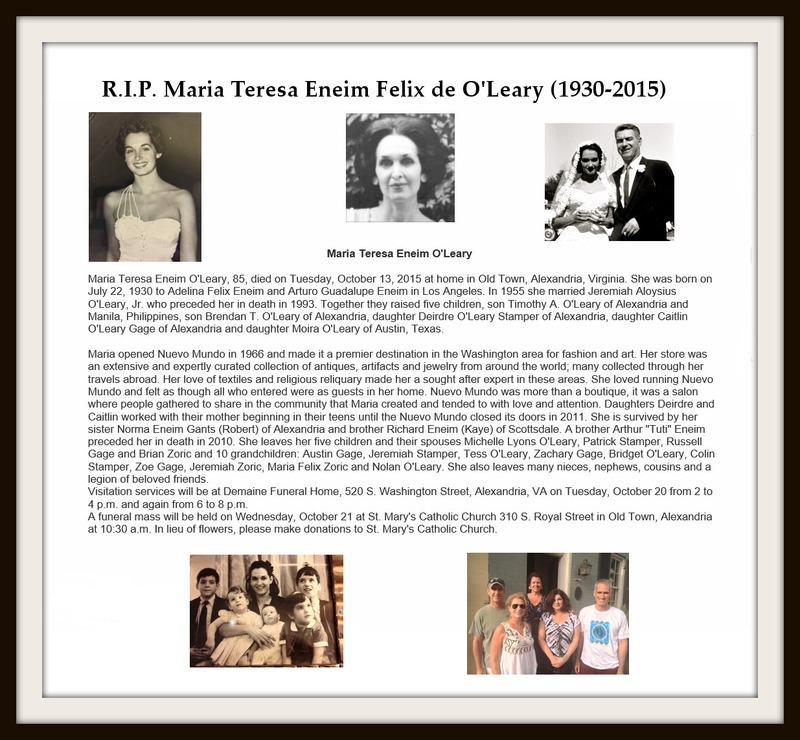 Together they raised five children, son Timothy A. O'Leary of Alexandria and Manila, Philippines, son Brendan T. O'Leary of Alexandria, daughter Deirdre O'Leary Stamper of Alexandria, daughter Caitlin O'Leary Gage of Alexandria and daughter Moira O'Leary of Austin, Texas. 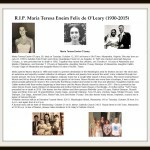 - Read Maria Eneim O'Leary's Obituary HERE and Obituary HERE. Jerry was an Award Winning Newspaperman. 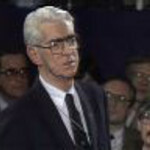 In 1989 he was the recipient of the Merriman Smith Award for Distinguished White House Reporting. He received Columbia University’s Maria Moors Cabot Gold Medal for his Distinguished Latin American reporting. 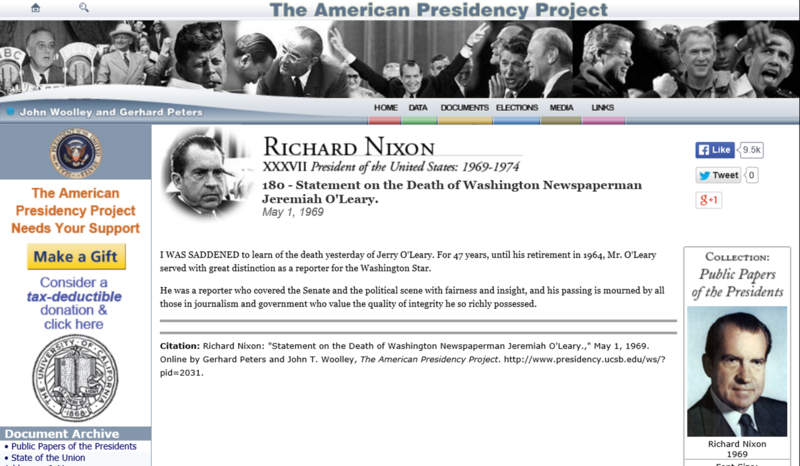 Also he received the 1963 National Reporting First Place from the Washington Newspaper Guild. 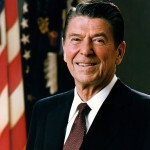 In 1987 he was named to the Hall Of Fame of Sigma Delta Chi, the Professional Journalism Society. He was associated with Georgetown University Centre for Strategic Studies. He lectured to Government Groups and at Universities. He was a member of Alcoholics Anonymous since 1963 and was a recruiter for that Organisation. You could tell that Jerry had culture running in his blood and later in life he had considerations of his ancestry running in his mind. He travelled the world but perhaps one of his most pleasant 'landings' was touching down for the first time at his Ancestors' homestead at Mount-Scartaglin, Kerry in his Emerald Isle. The very spot that his grand-father, William Jeremiah had departed from in 1886 never to ‘go-home’ and return there again. There, Jerry touched the ‘old sod’ he felt a part of. He proudly pocketed a handful of the Mount Scartaglin earth which bore for him all the memories and stories of his O’Leary Ancestry. Jerry may have ‘’danced the Big Apple with Eleanor Roosevelt at the White House’’ and he may have been ‘’standing a dozen steps away when Ruby forever silenced Lee Harvey Oswald’’, he may have ‘’sipped the first legal beer at Washington (President Roosevelt gave a case of Yuengling to the White house press corps)’’ and he may have been Pallbearer to Oswald but Jerry also got the time to speak ‘Leary’ with his native O’Learys. 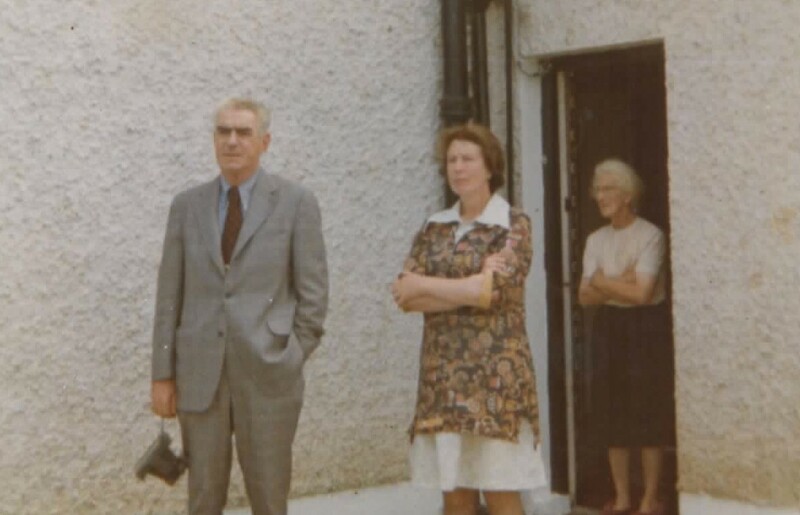 In 1970 at the age of 51 and for ‘compelling sentimental reasons’ Jerry began on a quest to locate his Kerry O’Leary relations and d’habitute, he succeeded. 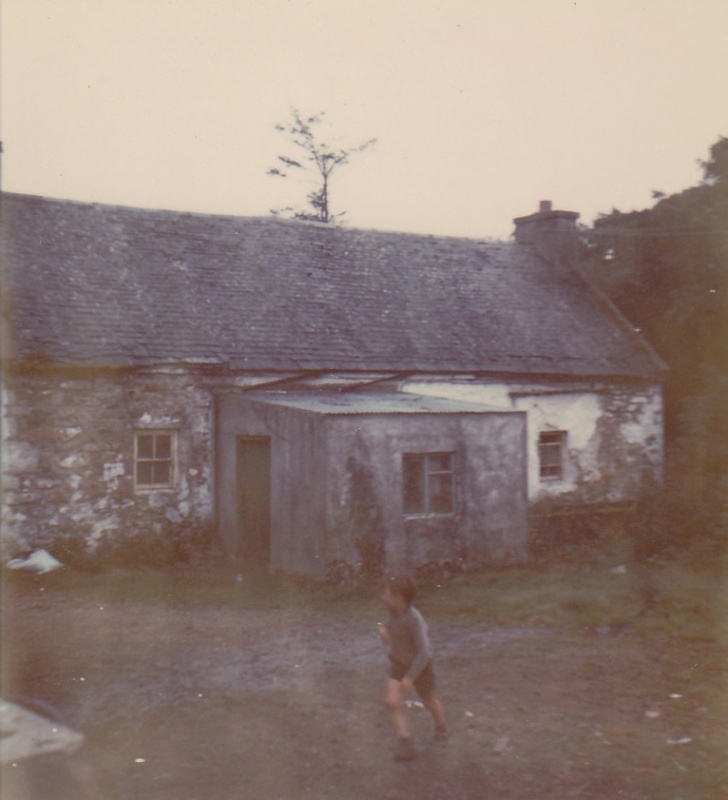 He wrote a letter to the Kerryman Newspaper in Ireland aptly titled ‘An O’Leary in search of his Relatives’, explaining his situation, background and his quest. Jerry received many responses to this letter including a letter written from Farrankeal inviting him over. Later that fall, he duly got to meet with all of those relations that had taken the time to pen a reply. 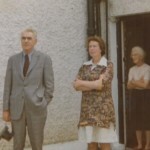 He met with my grandmother GL3 Kate Jim Leary O'Connor and my GL4 Mother, Nora Mai O’Connor Fleming at Farrankeal that year also. I still can distinctly picture the three, ‘thick as thieves’ in a huddle around the kitchen table and comfortably chatting away on a fine Kerry evening at Farrankeal. 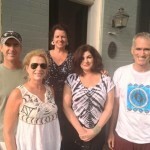 They were talking 'Leary’. 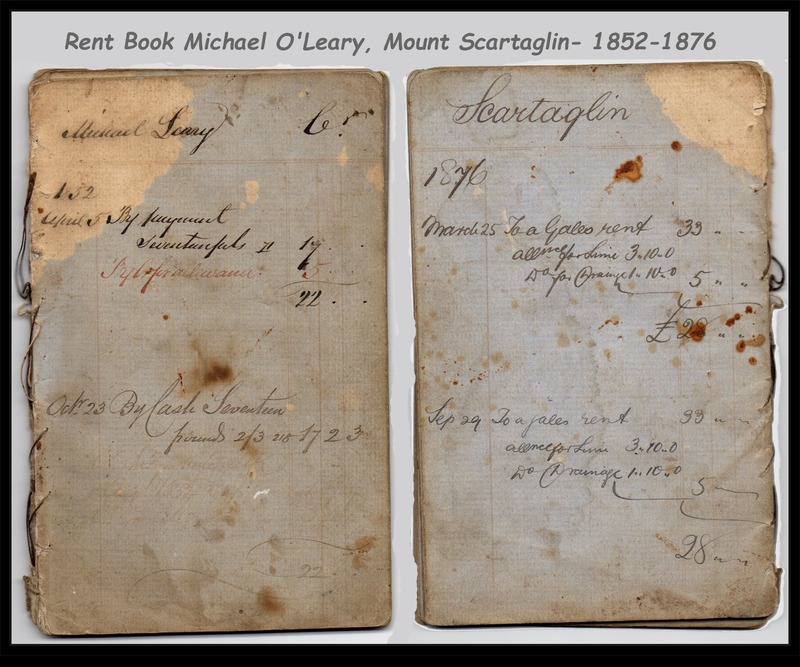 Jerry wanted to know all about the Mount Scartaglin Homestead, its past and his people and my dear grandmother ‘Kate Leary’ just loved to talk about all of that. 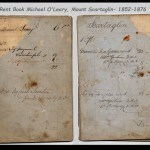 He made several visits to Kerry afterwards to meet again with relatives and of course to re-visit the Homestead at Mount Scartaglin. 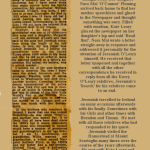 Elements from Jeremiah's Obituary above, also some O'Leary extract & ''Quotes'' from John McCaslin's Book. Knowing them as he did, John McCaslin captures the two Jerrys very well. 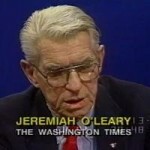 Click on the Images below to Read More on GL4 Jeremiah O'Leary and watch him in action at Reagan's Press Conferences. Article by Jerry O’Leary for ‘O’Leary’s Washington’ Column in the Washington Times. 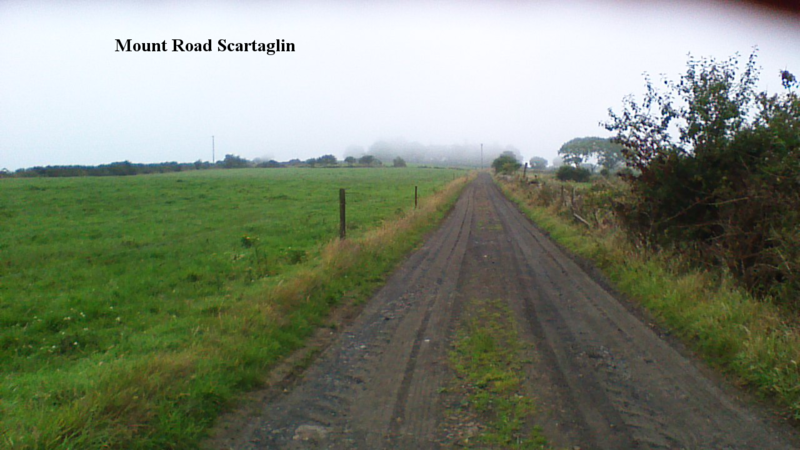 The Road ‘Up To Mount’ At Scatataglin.